Does Your Home Theater Have the Sight and Sound It Deserves? In a home theater, you really want to have an immersive experience, just like in the best movie theaters. You want the best quality visuals on your big screen - bright, high contrast, and artifact free. For sound, you want to feel like you are in the movie scene - whether its bullets flying above you, car crashes with impact, or whispered dialog in a tense scene that draws you into the drama. To get the best quality visuals and sound in your home theater installation, you need great equipment. A critical part of delivering that experience falls on the audio-video processors and amplifiers in the home theater. In this blog, we want to take a closer look at the components that process and amplify the audio and video. In this area, Lelch recommends Anthem components. Anthem is part of the Paradigm family, which makes exceptional speakers as well. Let’s take a look at why Anthem components are the right choice to get that coveted cinema-quality audio and video in your theater in Minnetonka. SEE ALSO: Does Your Home Theater Setup Sound The Way It Should? Technology in the audio component space, particularly when it comes to movie sound formats and processing, moves faster than other areas. The audio receiver or processor from 6 years ago may well be out of date for the latest in cinema audio. Formats like Dolby Atmos, with its immersive sound from height speakers, are showing up in more 4K BluRay releases and even in streaming movies. 4K itself is now mainstream, and the content selection is bigger than ever, whether it’s on 4K BluRay discs or streaming from services like iTunes, Amazon Video, or Netflix. HDR (high dynamic range) is a technology that enhances contrast in video, delivering 3D-like visuals. It is essential that the AV processor or receiver support the latest in this technology to get the best out of your theater. Digital computing power continues to improve in AV processors. This makes a difference in how well it processes video signals and high resolutions audio formats. For the latest, you want a processor that supports Dolby Atmos, DTS:X, and 4K video signals at 60hz which are used in certain high-resolution videos. There are many AV receivers available that support the latest features. But a spec sheet alone does not necessarily define a great component. Much of that is on the inside. For example, high- quality DAC (digital audio converters) are processors that turn digital audio formats into analog sound that is amplified to your speakers; what you actually hear. Higher quality DACs make a difference in the fullness and richness of sound, whether it’s in the music of a movie soundtrack or the sound effects. Beefier power supplies also make a difference in sound quality, as well as internal isolation of processing from amplification circuitry inside the component. These are the details you can’t see, but they make a difference. We mentioned we are partial to Anthem components for the best home theater experience. Why? Build quality is one, these products are built with superior internal components to exacting specifications, and are built to last, backed up by a three-year warranty. Anthem supports the latest audio and video features we described above, and many more we didn’t. Anthem has a full line of home theater components that can power modest home theaters to the highest-end installations in the Minnesota Twin-Cities area. From all in one box solutions like the flagship 11.2 channel MRX 1120 receiver, to the acclaimed D2V and AVM AV processors, to the 1000-watt M series monoblock amplifiers, Anthem has just about any home theater covered. And one more thing. Room correction software is based on algorithms that are built into AV processors and receivers to adjust and tailor multichannel sound to your theater room’s characteristics. 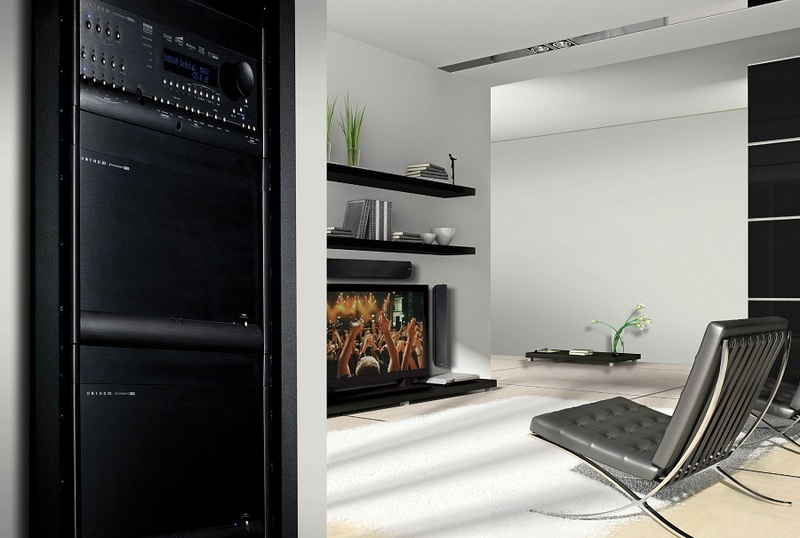 Anthem’s ARC (Anthem Room Correction) is widely acknowledged as some of the very best in the business, and another reason to choose Anthem for your new or upgrades home theater. Looking to get the best in home theater sight and sound? Give us a call or fill out our online contact form to schedule a no-obligation consultation.